Do you have to add a social gallery or several pictures to a site? Use the great cloud-based web service – Elfsight Apps, that will let you display any social plugin on an HTML website in an instant and artlessly. BONUS: Check out the demo right now! Publish a striking portfolio on your individual HTML site with no developing proficiency in but a few actions thanks to our plugin. Find out more about widget! To install the plugin, it’s necessary to login to the service and get the specific script. First, to access our web resource, you need to create an account. 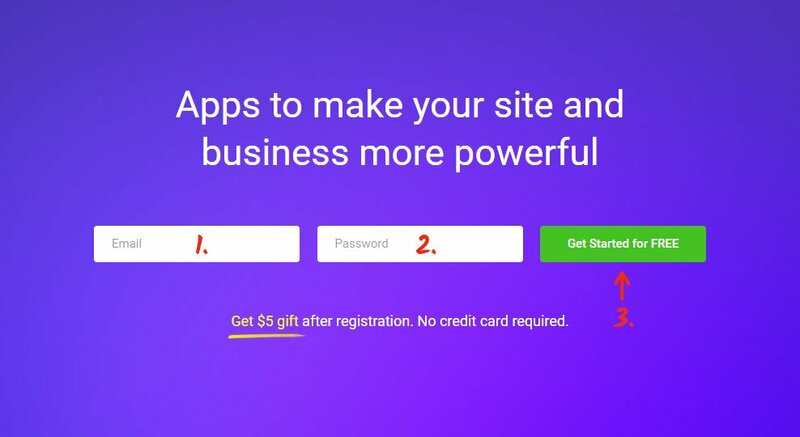 Enter only proper email addresses and passwords to create an account. If you already have an account, please, log in here. Our cloud-based service provides users with various plugins for web resources. 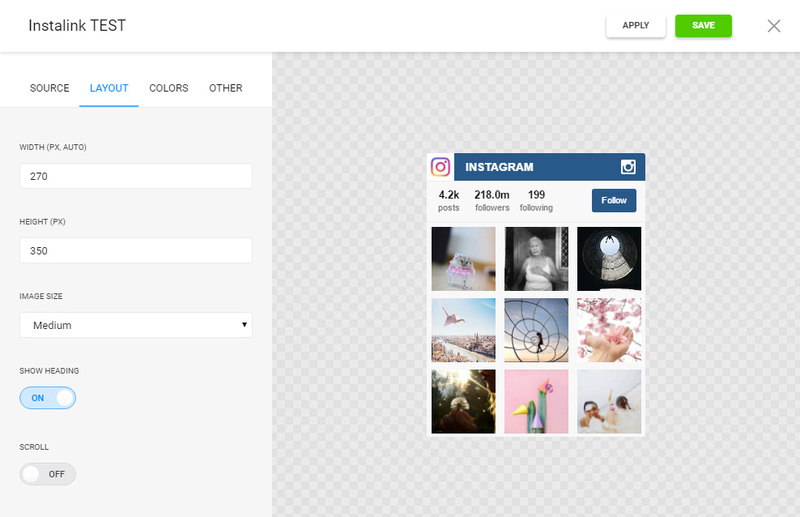 To embed Instagram Photo feed to an HTML website, just choose InstaLink. Choose the design, styles and display settings to shape the plugin that will be best fitted to your website. 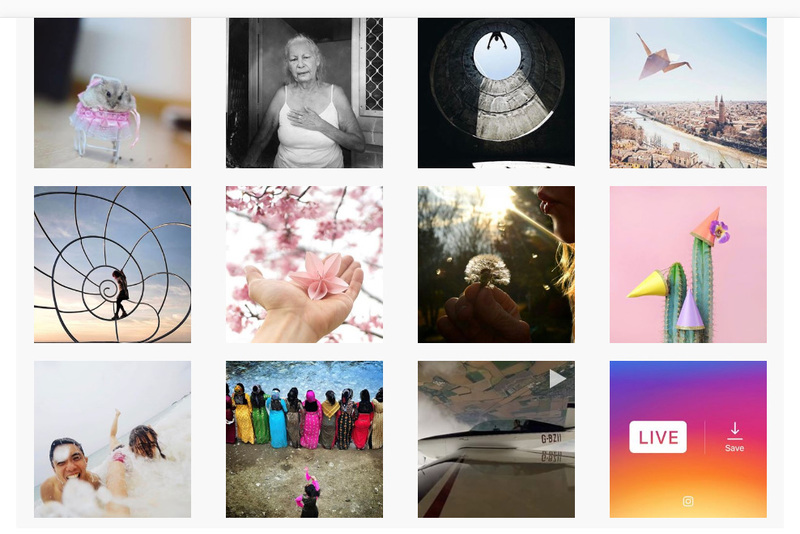 You can appreciate all the advantages at the Instagram widget page. You can select the payment plan in the table that you’re redirected to. Subscriptions range from free to comprehensive. Check your page’s traffic and click the “Select” link. The finishing action at Elfsight Apps is to receive the product code by pressing “Get” button beside the gallery’s header. The finishing stage of installing the plugin is to embed the plugin on the web page. 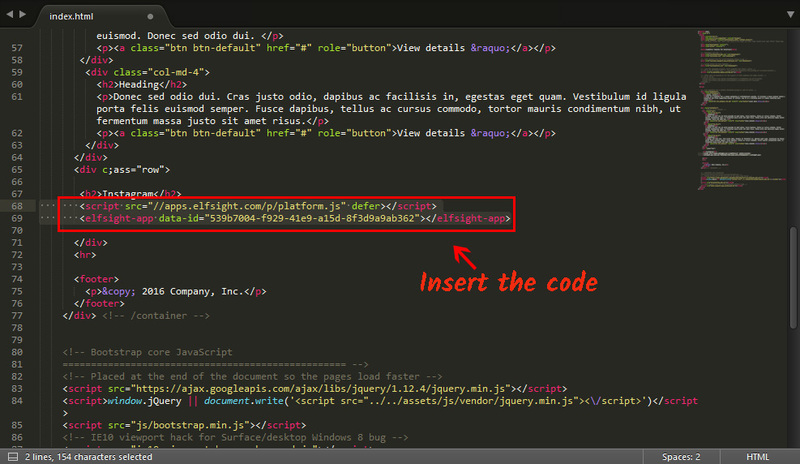 Open the target page in any HTML editor and insert the Elfsight Apps plugin code. After you add the plugin, update the page on your server. • The plugin’s been successfully installed! Go to target page to check out the results of your work. In case you want to modify the colors and settings or to replace the photo source settings after you’ve published the plugin at your web page, go to your existing profile at Elfsight Apps. Next, visit «Dashboard» category and go to altering InstaLink. Easy in use for novices and pros. Besides, the authors grant eternal support for technical issues that will work out various obstacles with displaying or adjustment. See more our HTML widgets. It is a cloud resource that enables you to display any product in only a few actions with no developing expertise. Our solution provides the opportunity to raise efficiency and decorate the pages of your own site. Savor all the pros and construct the custom Instagram photo app for your site.